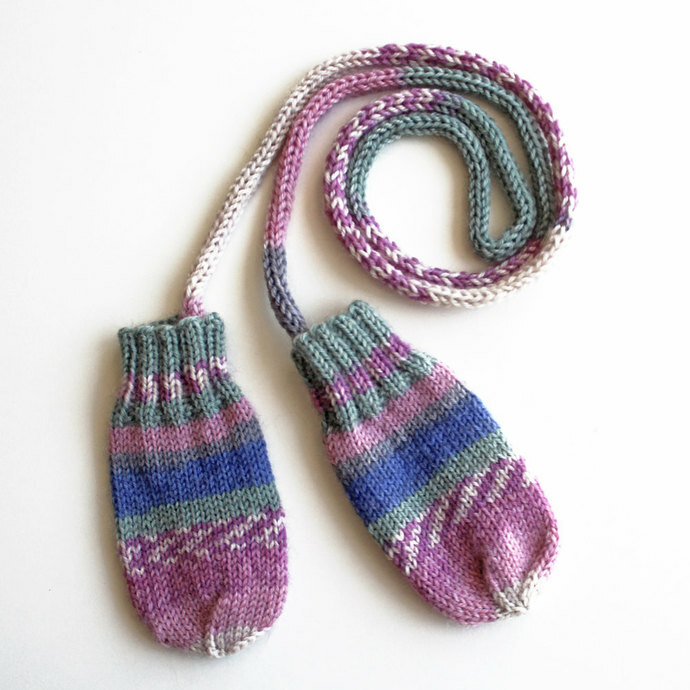 Hand knit thumbless baby mittens on a string. 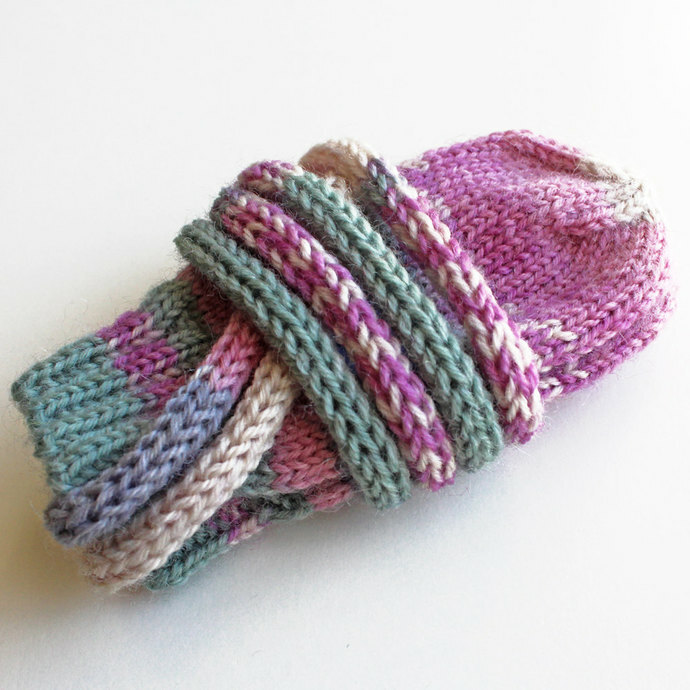 Baby's wool/nylon blend thumbless winter mittens are hand knit in smooth stockinette stitch with seamless construction. Left and right mitts are interchangeable. Ribbed 1.25" (3.2 cm) cuffs gently hug the wrist. 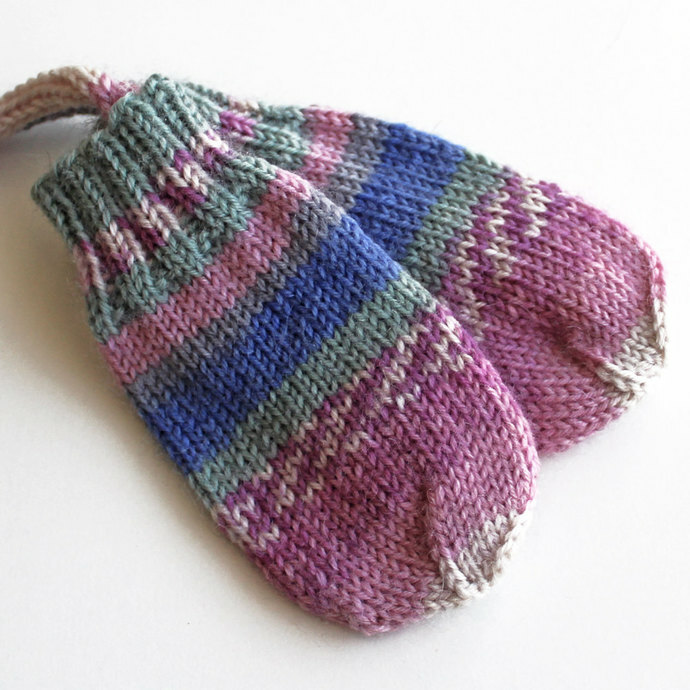 These traditionally knit mittens are knit in-the-round with superfine weight yarn on US size 1 double-pointed needles (not cranked on a machine) to obtain a gauge of 8 stitches x 12 rows per inch â that's 96 stitches per square inch! This tightly knit gauge produces a warm and durable fabric. 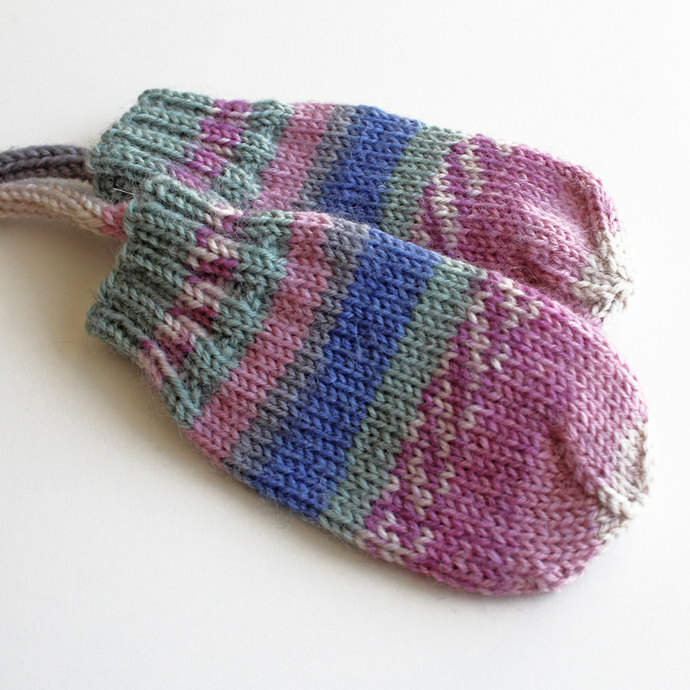 The mittens are joined with a knitted tubular coat cord to prevent them from being lost. This knitted tube of fabric is stronger than a simple crocheted chain. To use the cord, simply slip each mitten through a jacket sleeve and secure the cord with a safety pin to the inside back neck of the jacket to hold it in place. 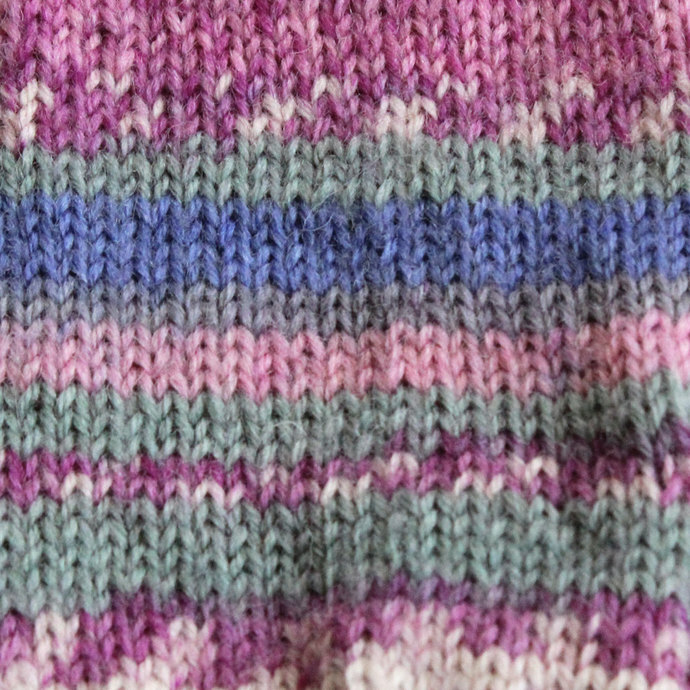 Color: 1813 Pink/Purple/Gray -- Variegated colors of sage green, pink, periwinkle blue, gray, lavender, and off-white form a Fair Isle-style striped pattern. Fiber Content: Top quality, long-wearing, four-ply yarn (imported from Turkey) is a blend of 75% superwash wool/25% nylon.